Here’s an interesting start-up. It's operating in a global space, and it's dedicated itself to the daily habits of billions of people. The name: The Cup eXchange. 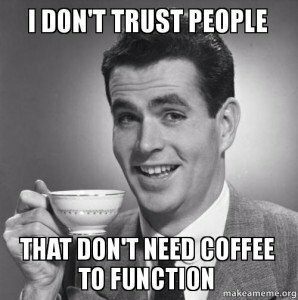 Would you trust a non-coffee drinker? But this isn’t about me. Or Batman. It’s about coffee. It’s about The Cup eXchange — a start-up operating in an industry worth over $100 billion. Coffee exporting alone is a $20 billion dollar industry, and after crude oil, coffee is the world’s most sought after commodity. US consumers have spent over $74.2 billion on the product this year. So, if you have a decent idea that could disrupt the industry, there’s no reason why you wouldn’t put all your beans in one grinder and give it a shot. 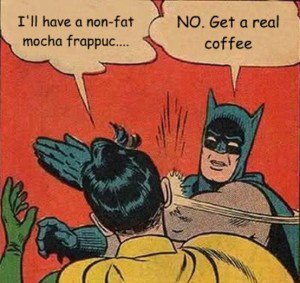 That goes for any start-up in any industry, by the way, and is about as sound advice as I can give, but I’m not a coffee drinker, so who can you trust? Who is The Cup eXchange, or TCX? This start-up is a sustainable (already winning in an age where millennials are the biggest coffee drinking demographic in the world), technology-enabled coffee cup subscription service that will officially launch to market in Feb 2019 at the Melbourne International Coffee Expo. ...Melbourne, where they serve the best coffee in the world. 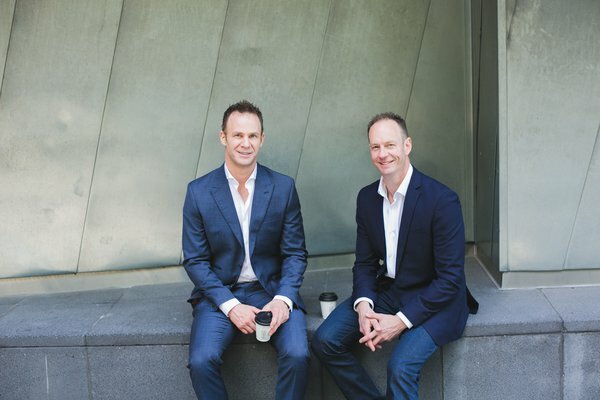 TCX was created by brothers, Marty and Jeremy Rowell, to provide a convenient and sustainable alternative to single-use paper cups that benefits all stakeholders including customers, cafés, government/councils and the environment. The company is currently undertaking a $1.2 million crowdfunding campaign and has thus far raised $350,000 to scale up its business. Funds will be used to increase awareness of TCX through promotion and education, to increase the speed of the network rollout to cafes and precincts around Australia, and to expand the IT system capacity whilst maintaining reliability. Anyone who participates in the crowdfunding round will receive shares in the company and any investor that invests $500 or more will receive a free 24-month TCX subscription with two cup credits, commencing upon first use at a TCX enabled cafe. “Inclusivity is a core belief at TCX and we know that making a significant difference requires the support of a crowd,” said Marty Rowell, co-founder and CEO. “TCX makes it easy for anyone to be part of the solution. Australians can now have a better take-away coffee experience whilst avoiding the negative impact on the environment. Through the crowdfunding, everyone has an opportunity to own a part of the company and increase the speed of network rollout to make an even bigger difference,” he added. If the full $1.2 million is raised, it will give the company a valuation of ~$5.7 million. TCX was founded in September last year. “My brother and I were inspired to come up with a better solution for the mass market after watching War on Waste last year which resulted in us founding The Cup eXchange together,” said Jeremy Rowell, co-founder and CIO. TCX Cups were intentionally designed to replicate the form of the iconic paper cup for familiarity, but are made using 100% Tritan from Eastman (a next generation glass replacement material). The cups are durable, with high shatter and chemical resistance and have been tested to wash over 4,000 times in an industrial glass washer without cracking, warping or discolouration. TCX Cups are odour-free, providing a superior taste experience for consumers. They are FDA approved and BPA and BPS free. 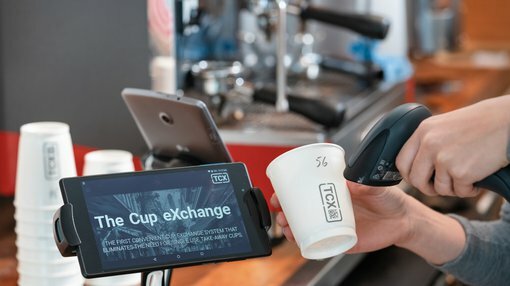 With 1.2 billion paper coffee cups used in Australia every year and 90% of those ending up in landfill, TCX’s model means that none of their cups go to landfill. TCX was designed as a circular economy business. “TCX takes responsibility for their cups when they reach end-of-life. We remove them from circulation, crush them down, and use 100% of the material to make another TCX Cup,” said Jeremy Rowell. TCX is working with major precincts, facility managers and select cafes in its initial rollout. As mentioned earlier, it will showcase its offerings at the Melbourne International Coffee Expo, where exhibitors and attendees will be able to experience the TCX Cups first hand and see them being used in the Australian Speciality Coffee Association (ASCA) National Cup Tasters Championship. “The Australian Senate inquiry published in June 2018 proposes to ban single-use items such as coffee cups with plastic linings by 2023, but we have the solution to change things now, not in another five years,” said Marty Rowell.